Dr. Agnes Gereb enables Hungarian women to experience “undisturbed” birth in intimate, safe surroundings. She oversees a national network of midwives and doulas who are changing the care given to mothers, families, and infants inside and out of institutional hospitals. Agnes unites the advantages of undisturbed childbirth with the best of modern medicine in a humane setting- at home, in birth centers, and also in institutional hospitals. 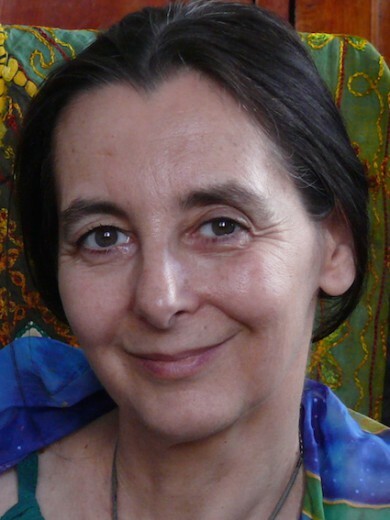 Ágnes Geréb believes that birth is one of the most important human experiences. Working as a midwife, she became aware that something was not working properly in Hungarian maternity wards. In most cases, the mothers had to obey an established protocol, instead of being the centre figure around which the whole birthing process revolves. As a result, there are still a lot of unnecessary and routine interventions. No matter how small the intervention, it still endangers the health of the mother. For 20 years now, the Alternatal Foundation, established by Ágnes, provides natural birth for mothers, enlightening expectant mothers and supporting them in their decisions. About 7000 babies were born with her help in a medical institution and around 3000 were home births. Altogether Ágnes has participated at more than ten thousand births so far. Ágnes has found the solution in midwifing. She would like to give every mother the opportunity to be at the centre in an intimate environment, without any protocols to follow, where she can give birth in the way she herself chooses. It is important to state that this does not mean that the midwife does not interfere in the process under any circumstances. She just does not do so as a matter of routine. Her goal is to keep alive and maintain the Alternal Foundation, the Születésház Association (‘Birth House’) and the Független Bábák Szövetsége Közhasznú Egyesület (‘Association of Independent Midwives Non-profit Organization’) despite their difficulties. Furthermore, she would like to uncover the side-tracks of the Hungarian implementation of home birth and ambulant birth. Her bigger dream is that those damages which are caused by the routines used in Hungarian birth institutions are recognized more widely by the expectants, so they could refuse these routine interventions. Thereby they and the newborns remain healthier. At the time she started to work as a midwife, she found herself complaining constantly about the lack of proper attendence for mothers giving a birth in hospitals. Then an old midwife asked a question that determined her choice of career: why not take the mothers home? After this, a series of coincidences led her to participate in a natural birth for the first time.